Blackphone focuses on privacy, security, encryption. Blackphone is a smartphone that’s all privacy all the time, no matter what you’re doing or what Android app you’re using. The national conversation about privacy is in high gear, and services for things like secure messaging have been popping up everywhere to try to meet demand. But most consumers aren’t really in a position to evaluate whether these services can actually deliver on their promises, and the companies themselves may not be aware of things they’re missing. Now a new smartphone called Blackphone is taking a stab at “prioritizing user privacy” and creating a whole ecosystem. You can make and receive secure phone calls; exchange secure texts; exchange and store secure files; have secure video chat; browse privately; and anonymize your activity through a VPN. 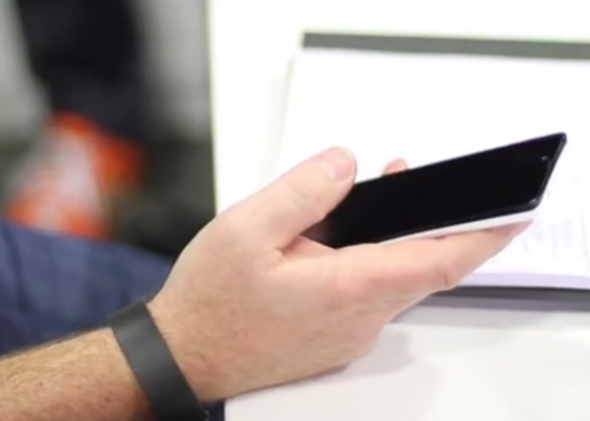 The Blackphone handset is unlocked and works with any GSM carrier. Though it’s unclear exactly what’s going on under the hood, the company claims that the hardware is a “top performer” if you look at benchmarks. More importantly, there isn’t a lot of detail yet about how the privacy measures are going to work other than encrypted messaging, “secure telephony,” and privacy measures baked into the hardware, including on the CPU. In the promotional video, Zimmermann says, “What we’re trying to do is to make a smartphone whose whole purpose is to protect users’ privacy.” There’s no word on pricing yet, but Blackphone will open up preorders on Feb. 24 during the first day of Mobile World Congress. It’s unclear whether Blackphone will be anything close to a complete mobile privacy solution. Still, it’s an interesting step because the product is an effort to make an entire privacy-based landscape, instead of just individual elements that a user can combine to try to form a more private digital existance. Perhaps the biggest takeaway that has come out of revelations about NSA surveillance and the insecurity of consumer devices is that the concept of privacy needs to be somewhat redefined for digital data, and that it is more difficult than it might seem for a service to provide the features consumers expect in a secure way. It’s a positive step for Blackphone to take a stab at creating an ecosystem that emphasizes privacy. There could be a lot to learn from the company as a test case whether it succeeds or fails. And if it works, it could put a stop to the “hi NSA!” jokes everyone makes now before admitting that they accidentally shoplifted.